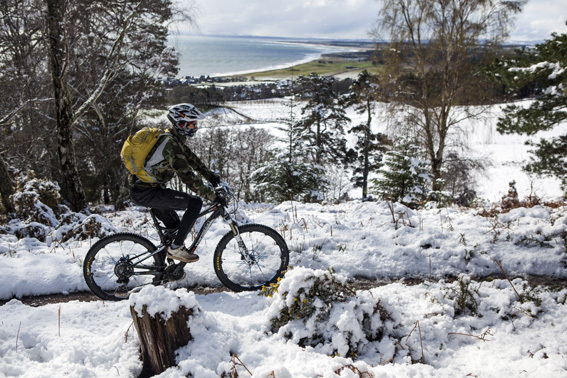 Guest writer Rob Lee marvels at the endurance challenge Clive Forth set himself in order to write The Great British Mountain Bike Trail Guide. 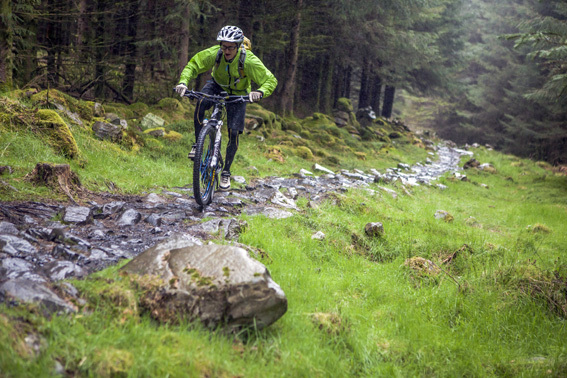 Clive had to hurl his big-tread wheels up and down the single track and forest roads of the 50 best trail centres that Britain and Ireland had to offer. To make it fun, he gave himself a month to complete the lot. When Clive told me that he was going to ride 50 trails on one big road trip I was instantly jealous. It had all the right ingredients in all the right quantities for a wild, enjoyable, yet massively challenging adventure. It was also the perfect culmination of everything that we’d worked on together, that he’d worked on with others, and many of the things that Clive himself had achieved and developed to that date. Just being able to complete this many trails in so few days was going to require mental strength, a degree of endurance and a dose of fortitude. In this, the challenge reflected the many accomplished rides that Clive has supported in the endurance arena of mountain biking. He knows the pains of endurance all too well, both in life and sport, as witness and participant. I’ve lost count of the number of times I’ve seen him put a rider back on their bike – after issuing what came to be known on our team as the ‘dad chat’ – and sending them out to deliver the goods on a long ride or endurance race. Having worked an endurance race pit on so many occasions there can’t be many people who have provided as much support, both physical and psychological, to victorious solo racers as Clive has. So a test of endurance for sure, but with a true devotee of the mountain bike at the helm this challenge was never going to be as simple as endurance. Endurance racing and riding is straightforward: ride smooth, stay safe, don’t go too fast too soon, don’t do anything outrageous and just keep going. If this was solely an endurance challenge then the name of the game would be simple. Any endurance athlete designing and riding this challenge would go the same way: long trails, medium-to-high technical difficulty, play it safe, ride conservatively. Looking at the list of trails, the endurance mountain biking rule book has been thrown out the window, or perhaps Clive was just too busy riding to read it? 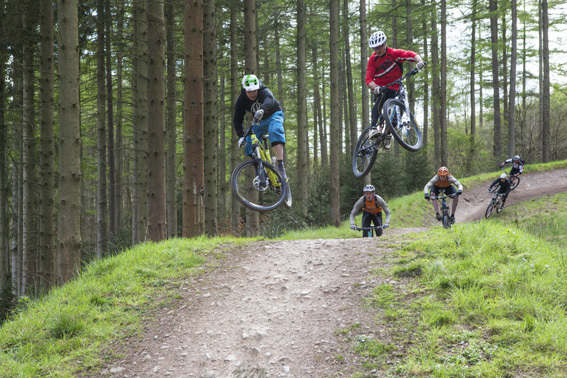 Jump parks and downhill tracks thrown into the mix? I know what you’re thinking, or at least you are if you’ve never been riding with our man. He doesn’t do conservative riding, and while this is an endurance challenge, the likelihood that he’d have kept his tyres planted firmly on terra firma were about a million to one. So now we have skill and without a doubt a massive element of speed. We are looking at an endurance challenge with lots of mini attacking moves, rapid accelerations, big air-time and tough technical trail sections. The number of riders capable of pulling such a thing off just went down about 80%. The element of danger involved in riding fast, taking air and increasing the technicality of the trails to be ridden, while tired, is something no one who has ever ridden a big endurance event would question. It’s simply not done because the risk of bringing the whole endeavor to a screaming halt in a split second is a serious possibility. But that’s something you only think about on the level of endurance racer, and Clive has skills that most of us can only ever dream of. His eye at speed is exceptional and I’ve marvelled many a time at his ability to take everything in his stride whatever the terrain. I look at the adventures I’ve been on and the journeys I’ve taken by bike and I start to realise that the main ingredients missing from most of them were the element of speed, and the element of fun that travelling much faster off-road can deliver. But this challenge didn’t suffer from that loss and likely, if anything, increased in enjoyment due to their addition. Of course there was an element of rest, while getting from one trail to the next by car or van, that pure endurance doesn’t have, but this in itself I suspect only enriched the experience. Something everyone dreams of, the classic road trip, is suddenly added to a mix so exciting you can feel the adrenalin course through your veins at the very prospect. And with that road trip, and the need for images to accomplish the telling of this story, came the final magic touch that enhances anything we do: companionship for the adventure. Such a cocktail that many, myself included, have commented that they wish it had been themselves and not Clive that had been on this adventure. But that in itself holds the truth: it could be you, or I, if we just take the inspiration laid out in The Great British Mountain Bike Trail Guide and plan for something fun and outrageous. The pace of life can be fast, it passes by in a flash, but putting the time aside to take on a creative challenge is as good a way as any to create memories you’ll never forget. Clive did, and I think he’d be the first to say: you can too. Read and enjoy, this story can only lead to inspiration and adventure. Rob Lee is an endurance cycling champion and founder of Seven Deadly Spins. 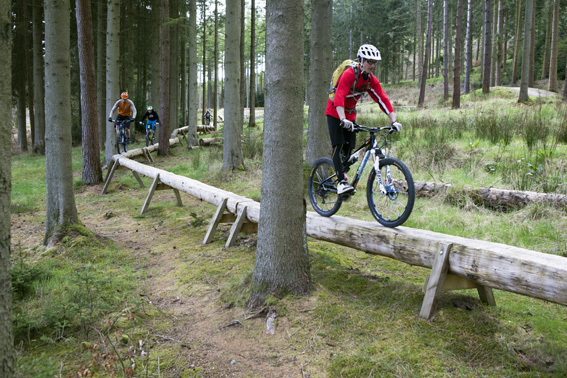 This entry was posted in Cycling, Mountain Bike and tagged clive forth, downhills, England, forest trails, Great Britain, Ireland, jump parks, Maps, mountain biking, Robe Lee, Scotland, Seeven Deadly Spins, single track, Trail Centres, Wales. Bookmark the permalink.